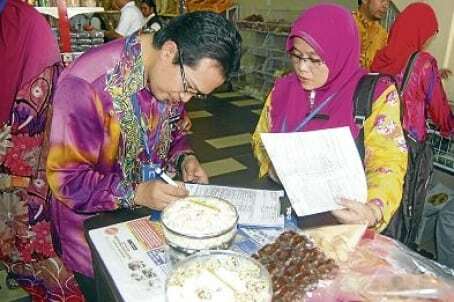 JOHOR BARU: FOOD traders who want to use the halal logo at their premises and for their products need to apply for the halal certification from the Johor Religious Affairs Department (JAJ). The halal logo ruling will be enforced from July. JAJ officers made spot checks at many eateries recently and found that some of them were using either a halal certification issued by the private sector, or that their halal certification had already expired. The department also found that some premises were only displaying decorative items with holy verses in the hope of deceiving the authorities and their customers. JAJ research division deputy director Yusree Ihsan said three premises were issued with warning notices. “Apparently, the premises only used a private certification that was not approved by us. They have been warned to apply for a new certification and halal logo from us. “We also asked several premises to remove the expired halal logo from their products until they have obtained a renewal,” he said. The Home Affairs Ministry, the Ministry of Domestic Trade, Co-operatives and Consumerism, the Johor Baru City Council and the Immigration Department also joined in the checks. Yusree said some food traders in the food court near Danga City Mall were asked to bring down decorative items with Quran verses as they appeared to be misleading the people. During the spot check, the Immigration Department nabbed five foreign workers without valid travel documents.